It's a New Year! Every year you swear you'll stop procrastinating. You know that this year is going to be different from the rest, and your productivity is going to skyrocket. No one ever said you couldn't have a little help along the way! BitsduJour has some stellar apps that are guaranteed to produce you and your company's productivity in 2015! You're always on the go, but you don't always remember the conversations you have during the day. You also have a flood of amazing ideas during the day, but you can't always write them down! Oh, if only there was an easier way. Well, with CintaNotes now you can! CintaNotes lets you quickly save and tag any bits of useful information, just by selecting text and pressing a hotkey. With CintaNotes, you'll never have to worry about losing bits of paper - every note you take is saved, along with the URL of the site that you clipped it from. 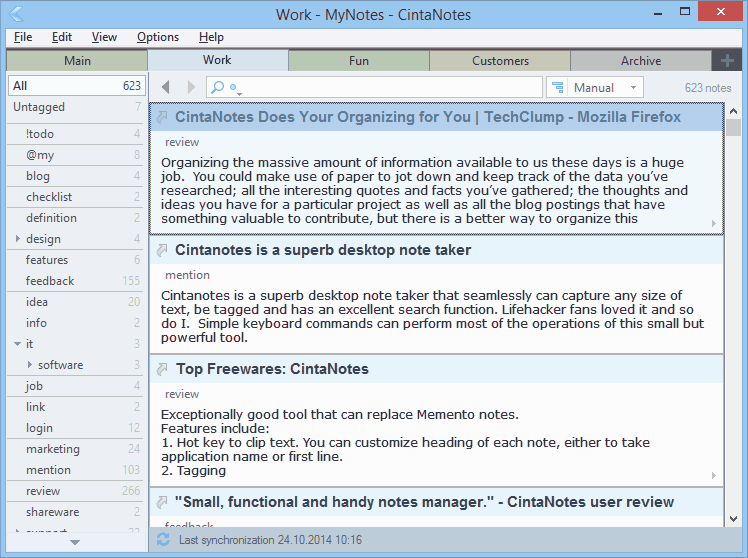 Best of all, CintaNotes works with any application that can copy text to the clipboard! There are so many tedious tasks you need to perform daily on your computer. They take up so much time, and can be confusing. With RoboTask you can take those pesky chores and automate them with ease. RoboTask lets you automate any series of tasks on your computer, from launching applications to checking email, backing up, uploading, downloading, and more. RoboTask works with simple combinations of IF/ELSE statements, loops, variables, and other options to create multi-step processes to accomplish exactly what you set out to do. It's way quicker than creating a batch file, and much simpler than writing scripts. Plus, the visual interface is a joy to use! Sometimes you have so many projects going on at one time it seems impossible to organize it all! With Project Track you don't have to worry about that anymore. 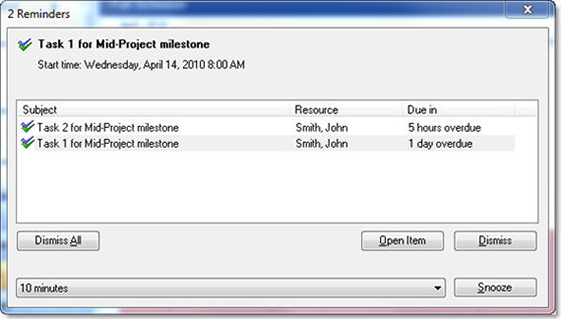 ProjectTrack is a project management tool that helps you manage and execute projects of all sizes. Everything you need is included -- document management, organizers, and notation tools. The result? Projects that are on track, on time, and of course, on budget! Sure, being online is extremely important--but you can't deny the power of hand-to-hand marketing. Mailing promotional items for your business is a great way to drum up new business. Handy Label Maker lets you print mailing addresses directly onto labels and envelopes, saving you valuable time and effort. With Handy Label Maker, you don't even need to have a separate application open to look up addresses, since the program also serves as your electronic Rolodex, giving you the ability to manage and quickly look up contact information. And if you find yourself using a variety of non-standard envelope sizes, don't worry! Handy Label Maker is fully capable of printing on envelopes of different size, easily. Get your name out there! When you're networking that next meetup or showcasing your business at a trade show you need to have something your potential client can bring home with them. Business cards are a great way to insure that you get remembered. 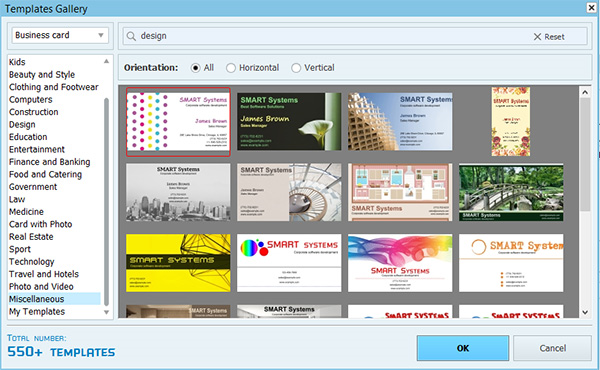 Business Card Maker Studio lets you design and print your own professional business cards. With Business Card Maker Studio, you get to choose from over 150 templates that will allow you to produce your own card in five minutes. Even better, Business Card Maker Studio provides you with the tools that you need to design your own custom business card from scratch, letting you show off your intense creativity.